A friend's birthday is coming up and she loves Moshi Monsters. 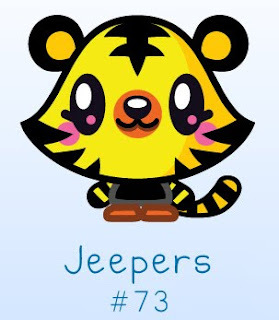 Her favorite character is this tiger Jeepers. It looked fairly straightforward, so I decided to try making a plush for her! 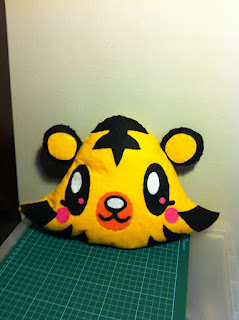 I only managed the head part, so I guess this looks like a cushion more than a plush. I was contemplating on adding the tail but without the body, it seems a little odd.